D.E.R.M., your best entry-level option. 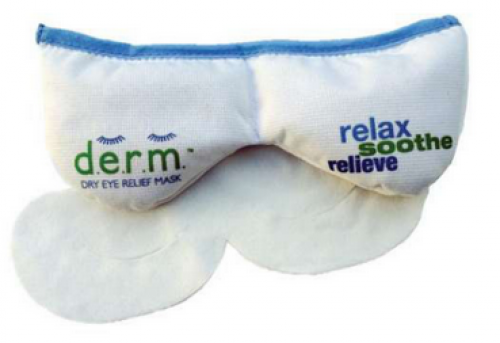 The reusable Dry Eye Relief Mask is our entry level solution for immediate dry eye relief. The mask contains Silica beads which naturally attaract moisture from the air and release it when microwaved. Heating the mask for 20 seconds will provide soothing moist-heat relief for 5-6 minutes. Applying a moistnened cotton liner to the mask prior to heating will extend the treatment to 7-9 minutes. D.E.R.M. is comfortable, convenient and easy to use. The liners help keep the mask clean and becuase of its inert nature, it will not mold. The mask can also be used before gland expression or removing lid debris to improve patient comfort and procedure.